Brexit is in the firing line for – well – just about everything at the minute – and for good reason. 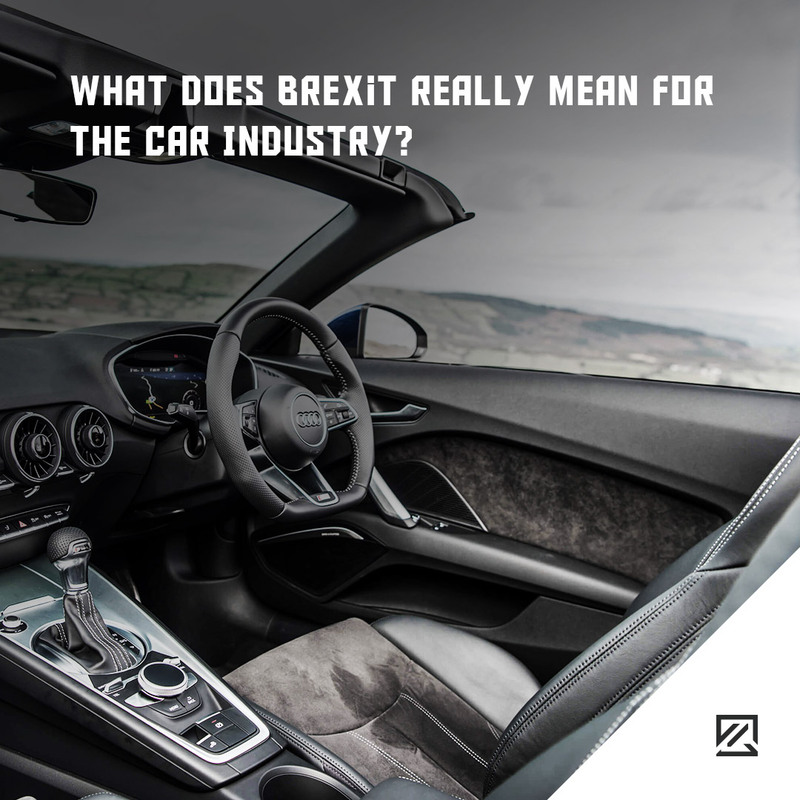 However, what does Brexit really mean for the car industry? Four main issues are surrounding the car industry and Brexit – the first of which is friction. Not the stuff that stops your car, but with new border controls – we can expect a little bit of ‘adjusting time’ which is bad news for manufacturers. With expected holds on goods, there’s no guarantee that manufacturers will get all the parts that they need and on time. That’s just bad business. Tariffs are another issue with components in UK-built cars having crossed the Channel numerous times. With parts starting out as castings/basic moldings – they will be built into components and bigger sub-assemblies in other countries – before returning to the UK and finally put into the car. With no trade deal in place upon leaving the EU, the default to World Trade Organisation tariffs – that’s 4% to 5% on each of the components at each of the Channel crossings. That’s nothing compared to the 10% expected on the complete car – that’ll add up very quickly for bigger companies. JLR are estimating a cost of £1.2 billion per annum for operations – that’s not ideal. The third issue is the safety and emission rules – specifically that UK-market cars need to be bound by the same rules as the EU market. Although this has been agreed, the EU would also have to accept paints/plastics meaning that when we leave, this could impose a vast extra layer of certification and homologation. The same is true for the US exports as the EU rules currently cover us – but as a single nation – this won’t be as straightforward. Finally, the massive shift of people is of particular worry as a considerable number of high-value employees at many of the big-name manufacturers are from Europe. Due to a massive skill shortage – although UK employees are searched for – European individuals often have extremely high skills sets for the job – putting jobs under stress and people under potential movement deals following the leave.